Meet you at Sewing Summit? Picture this: Spending your day in inspiring lectures about your handmade business or fabric design, or taking fun hands-on classes where you might sew your own PJ pants or learn English smocking. Then spending your nights going out to eat in an exciting city, or lounging on a plush hotel bed with some of your closest friends, stitching away on a sampler or comparing notes about how you learned how to get the perfect ¼” seam. Doesn’t that sound pretty perfect? I thought so, and so, 2 years ago, I founded Sewing Summit. 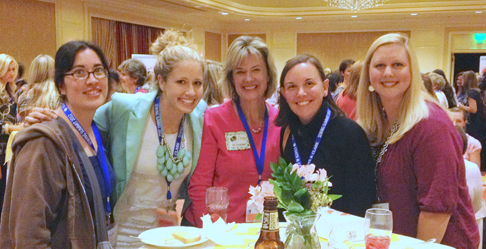 Sewing Summit is a cross between a sewing retreat and a blogging conference in Salt Lake City, Utah. 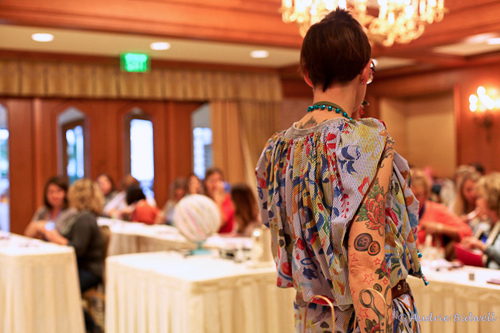 Our attendees spend a lot of time in classes and lectures learning new skills from some of the best modern sewists around, networking with other sewing bloggers, and participating in discussion panels on topics like growing your blog audience and transitioning your sewing hobby into a business. They’ve also got plenty of down time for hanging out with friends (old or new!) and sewing in our fully stocked BERNINA sewing rooms. We have a full lineup of incredible teachers – and such an amazing agenda of classes that I can’t pick my favorite! Salt Lake City is a wonderful city to visit, especially in the fall, and many of our attendees take advantage of our great weather by venturing outside to do some fabric shopping or thrift store perusing. 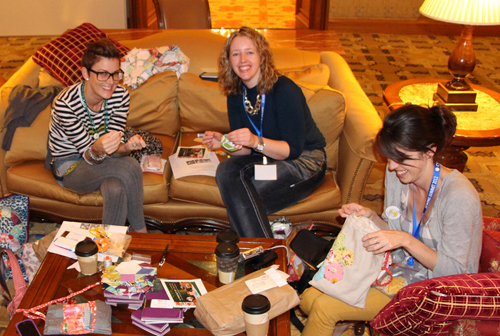 I started Sewing Summit in 2010 because there was a whole huge community of sewists out there, connecting on blogs, doing swaps in Flickr groups, and really feeling a pull to meet each other in person. 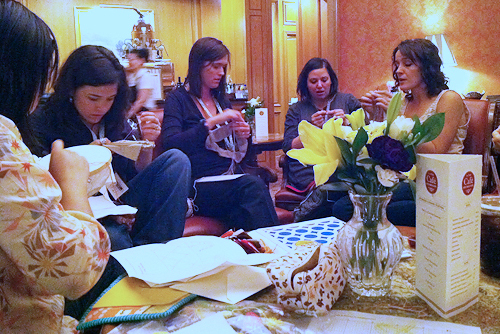 The first Sewing Summit took place in October 2011, and after the weekend was over, I knew I was doing the right thing by providing a place for these friendships to form in person and for the creativity to flow. This September will be the third Sewing Summit, and I again can’t wait to see old friends, meet some new ones, listen in on some inspiring lectures, and try to get in some sewing as well. I’d love for you to join us! (Limited number of tickets available here).